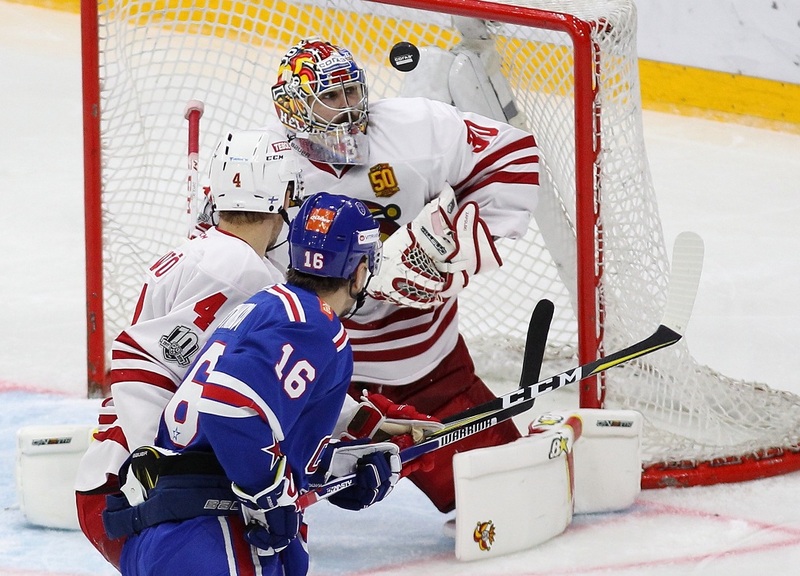 Jokerit's Ryan Zapolski, named KHL Goaltender of the Week on Monday, spoke to KHL.ru about his recent shutout series, the Helsinki club's impressive winning streak, and his chances of representing the USA at the 2018 Olympics. - Ryan, what is the secret of Jokerit's flying start to the season? - It's hard to say. We are playing better with every game, we have confidence in one another, and we are taking great pleasure from what we're doing out on the ice. We're working, working, working, and we're enjoying it. - Your winning streak now stretches to 15 games. Do you feel any pressure? - No pressure. We want to win more games, and now we are climbing up the standings, we'll just keep playing. - Your next game is against SKA on Saturday. 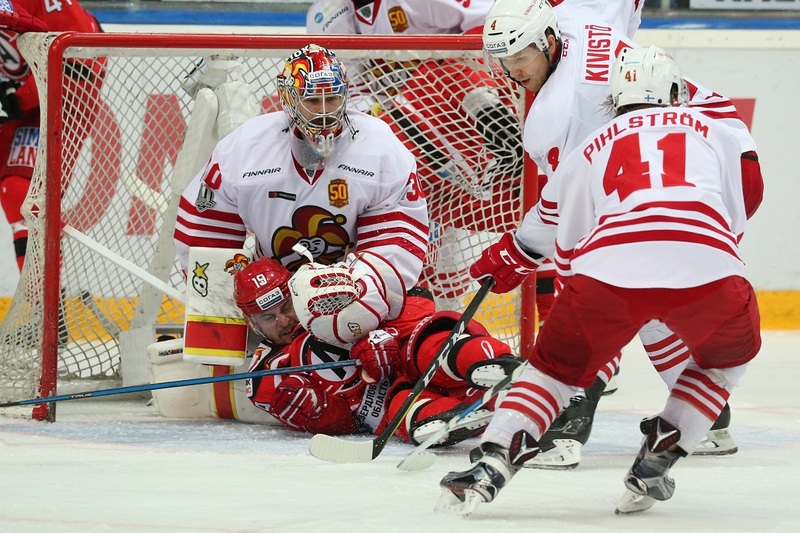 The Petersburg guys won 20 games in a row this season, setting a new KHL record. Do you feel you could match that, or even beat it? - Sure, we have everything we need to do it. However, nobody is paying much attention to that statistic. We have alreadty broken a few club records, but our main mission is to make the playoffs and have the kind of season we can be proud of. It should be a tough game, as SKA is also having an incredible season, so this is a match-up between the two best teams, a real battle. 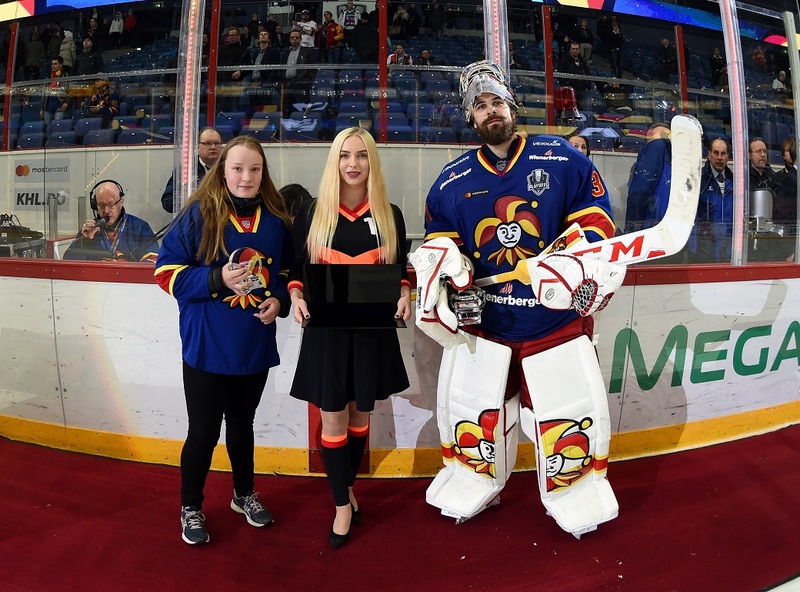 We are approaching the game with confidence and we want to keep our winning streak going..
- On Monday you were named the League's best goalie of the week and your shutout series stretched to 245 minutes 17 seconds, which is the third longest in KHL history. Is it a career record for you? - Yes, of course it's my personal best, but I must give due credit to the whole team. The guys have helped me in every game, and without their great work in defense it would have been very hard to stay unbeaten for so long. - What about the changes made at the club over the summer? Jokerit this year seems unrecognizable from the team swept by CSKA in the first round of the playoffs. - Last season we had new players come in, and a new coach, so we were trying to adapt to a new system. Over the summer, the staff just brought in skilful players to fill some gaps in the roster, so there's no real secret and there were no drastic changes, not even in training. - How about you, personally? You are having a great campaign so far. - I am playing with more confidence. Last season was my first in the KHL and for me it was tough. There were spells when I didn’t get much ice time and I was lacking in confidence, but this season I’m playing more and my game continues to improve . - Are you feeling any fatigue due to the schedule? You’ve played 18-19 games so far this season. - No, there's no tiredness, and I'm hungry for more hockey. I think we have a comfortable schedule. I manged to get into the season's rhythm and I'm feeling great. - A lot of people suggested that the arrival of Karri Ramo also helped motivate the team. - Yes, Karri deserves a mention. He’s a great guy, and it gave me a real boost when I heard he was joining our team. He has had a lot of success in this league, and he's played in the NHL. He's the kind of guy who's invaluable to have in the locker room. I talk with him after every game, and I've learned a lot from him. 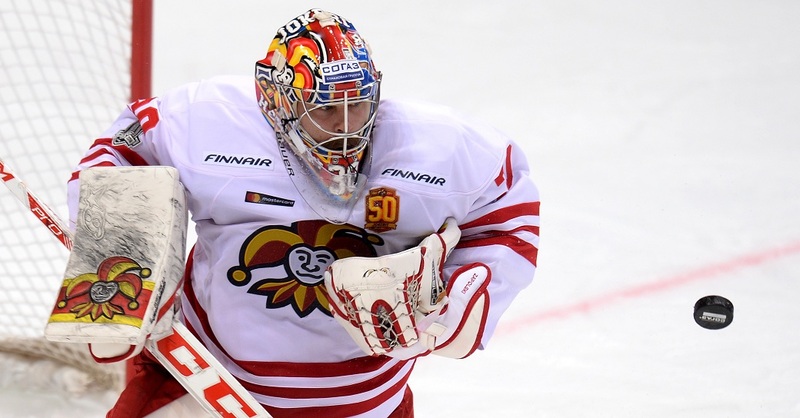 - How did the team take the news that Jukka Jalonen will leave Jokerit at the end of the season? - Jukka has been doing a great job, but he has decided to return to working with Team Finland. His contribution to our success this season has been huge, so we want to go out and play for him and show our gratitude by getting results. - And during the November break you will be joining up with the USA national team. - Yes, that’s something special. Obviously, when I heard that the NHL wouldn't release its players for the Olympics, I realized there was a chance I could play for my country. The Deutschland Cup is important for every player, because it might be the only chance we get to claim a place in the roster for South Korea. And it's great that my Jokerit team-mates - Mike Lundin, Matt Gilroy and Brian O’Neill - also earned the call-up..
- Was it one of your preseason goals, to get a call-up for the Team USA Olympic roster? - Of course! Playing for your country at such a tournament is the kind of thing you dream about from childhood. - You are now in your fifth year playing in Finland. Could you now call the country your home? - Yes, it’s my second home. My family and I are comfortable here. Finland has given me the opportunity to play hockey at a high level. I don’t speak Finnish, as it’s a very hard language to learn, but I understand a few things. - Why did you decide to leave North America for Europe, and swap the ECHL for the Finnish League? - I wanted to play as much as possible,. Right now I'm getting the amount of ice time I might get if I were in the AHL, for example, but career development for goalies in North America is not easy if you haven't been drafted by an NHL club. - Do you enjoy playing in the KHL? - Yes, to be honest, I never imagined I would get to play at such a level. The KHL is the high point of my career. - Do you think you might return home to play in North America? - I haven't even thought about it. Although, I’m not getting any younger, and if someone offered me a spot as back-up goalie in the NHL, I might accept it.